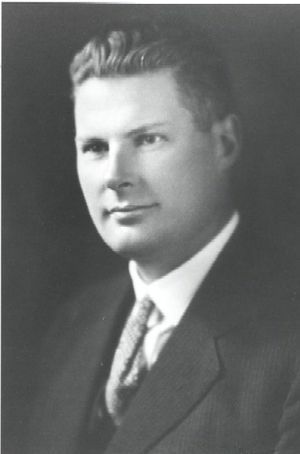 Harold H. Beverage, IRE President, 1937, supervised the development of receivers for transoceanic communications at RCA, which led to a patent for the Beverage Antenna. Harold Henry Beverage was born in North Haven, ME., in 1893. As a teenager he built a home-made wireless set through which he picked up signals from the Carpathia, the ship that rescued the Titanic survivors. At that time he had already developed a lifelong interest in radio technologies. Within a few years of the Titanic disaster, in 1915, he graduated from the University of Maine. Upon graduation, Beverage went to work for General Electric Company the following year as a radio-laboratory assistant. During the First World War, he worked on radio transmission technologies for naval applications, and on adaptations for voice transmission. He studied the effects of extremely long antenna wires through a variety of experiments in 1919. In 1920 he was placed in charge of developing receivers for transoceanic communications at the Radio Corporation of America (RCA). This work led to what is still referred to as the “Beverage Antenna”. And in 1921, he received his first patent, for the wave antenna which would become a standard for long-wave receiving. As his career progressed, his work extended to ultra-short wave equipment as well. When RCA created RCA Communications in 1929, Beverage became chief research engineer. By 1940 he had risen to vice president of research and development. He retired in 1958 from that position and as director of radio research but continued to work in communications as a consultant. Beverage was recognized throughout his career. In 1923, when he was just 30 years old, he received a Morris Liebmann Memorial Prize from the IRE for his contributions to the development of transoceanic radio. In 1937 he became IRE president. In 1938, the Radio Institute of America presented him with its Armstrong Medal for his work in the development of aerial systems. The Beverage antenna, the citation said, was "the precursor of wave antennas of all types." Beverage was awarded the IRE Medal of Honor in 1945, "In recognition of his achievements in radio research and invention, of his practical applications of engineering developments that greatly extended and increased the efficiency of domestic and world-wide radio communications and of his devotion to the affairs of the Institute of Radio Engineers." In awarding him its Lamme Gold Medal in 1957 the American Institute of Electrical Engineers cited him "for his pioneering and outstanding achievements in the conception and application of principles basic to progress in national and worldwide radio communications." Harold Beverage and H.O. Peterson IEEE Oral History. "The Classic Beverage Antenna, Revisited," QST Magazine, January 1982, pp. 11-17 (H. H. Beverage and Doug DeMaw). "The Wave Antenna for 200-Meter Reception," QST Magazine, November 1922, pp. 7-15 (H.H. Beverage). This page was last edited on 27 January 2016, at 17:01.